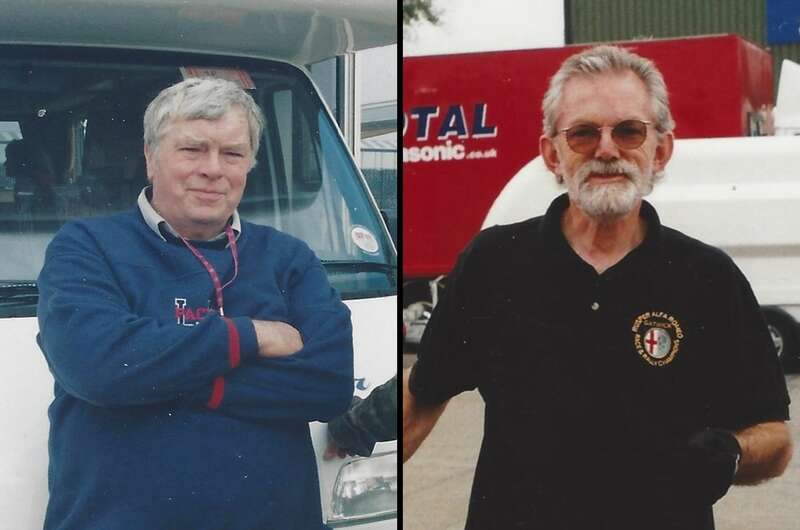 It is always sad to record a death on our website but it is particularly hard when we hear about the loss of two of popular and long standing members of the Alfa racing fraternity – in this case PETER WEST and MIKE BUCKLER – within such a short time. It had been my intention to write full appreciations of what they both meant to us but technical problems with the Lindsay computer has made this difficult to do in the short-term. However, in the meantime, we thought it important to let friends and colleagues of both Peter and Mike of the funeral arrangements. Mike’s funeral will be the following Thursday, November 1st at the Surrey & Sussex Crematorium, Balcombe Road, Pound Hill, RH10 3NL at 11.45 a.m. Everyone is invited to gather afterwards at the Parsons Pig (in front of a Premier Inn) on the B2036 Balcombe Road, a short distance north of the Crematorium. However, it would be appreciated if those intending to be there, and from what I hear there will be quite a gathering, could phone Mike’s daughter Claire on 07708411775 so that she has some idea of numbers.